Today IT departments have to be highly reactive. There are numerous hacktivists out there looking for new ways to make money. One of the most common scams is spam email addresses. Back in 2009 and 2012 two Vietnamese men are alleged to have hacked into email providers in the US and stolen one billion addresses. The Department of Justice said this was the ‘largest’ data breach in US history. But sadly this kind of breach is on the up. According to research from Cisco, snowshoe spam grew from 7 percent of the total volume of spam in November 2013 to 15 percent in April 2014. What are the spammers sending? These guys will send anything from official looking bank statements, software invoices, even notifications from official looking government bodies. They send these false but real looking emails in bulk. When an un-suspecting recipient opens the file they download a virus which is loaded onto the computer and in some cases is designed to remember user names and passwords for all the sites visited. This is one of the reasons banks use two factor authentication – to avoid the security risks this type of activity opens up. How could this impact my business? 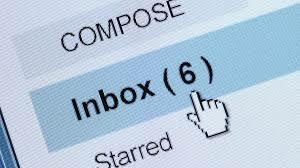 If an employee of yours opens one of these emails and gets the virus that remembers user names and passwords, your company data could be at risk. It’s important to use systems that deal with confidential data that have all the latest security features such as Two Factor Authentication. Read more about Two Factor Authentication at Maytech. At Maytech we provide a range of file sharing platforms suitable for secure file transfer. These all include 2FA and secure password modules to reduce your chances of being successfully targeted by spammers. Why not find out more today.